Why is it that only recently we in chabad started leaving space at end of shema in RT? Why the change from before when they finished until end of line? When was the custom in chabad to finish Shema [of RT] till the end? 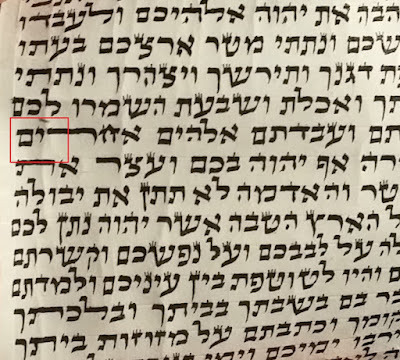 So that was the spacing a lot of chabad chassidim seem to have in their rabbeinu tams from a particular vintage when this spacing was popular, I'm guessing around the 1960's. 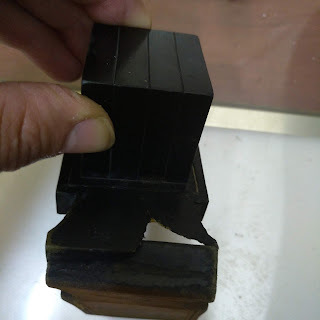 Although by parshas shema makes no difference halachically (by R"T) how much space if any is left at the end of shema, yet for some reason, today, virtually all Chabad sofrim write uniformly with a space of 9 large letters, (like Rashi). What Yosef is asking is what caused this change - of what seemed to be a common practice. 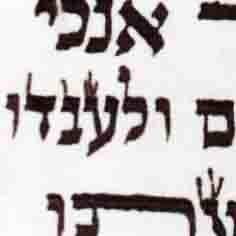 Rabbi Landau (Bnei Brak) says in his fathers name (R. Yacov Landau) that RT should finish shma till the end, so maybe the sofrim mentioned wrote according to this shita. Thank you, perhaps a Shiur on that tshuva?